The number of people living in the United States is expected to swell from 321 million today to just over 400 million by 2055, according to the US Census Bureau. Millions of additional acres will be needed for homes, schools, offices, and infrastructure to support the burgeoning population while conserving open space and preserving agriculture. Other countries face similar challenges. 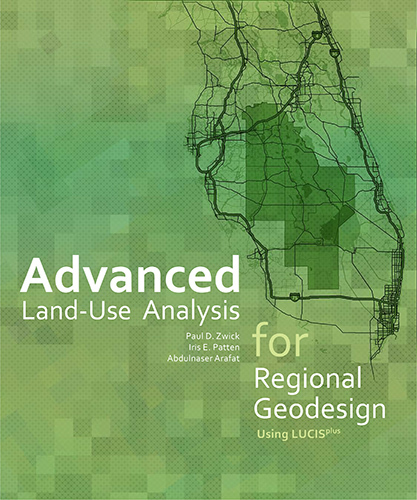 The book teaches concepts and walks readers through how to identify potential land-use conflicts and make smarter land-use decisions using specialized methods and tools that complement Esri’s ArcGIS. LUCIS stands for land-use conflict identification strategy, a process for analyzing land-use suitability and resolving land-use conflicts. The methodology was developed by Paul D. Zwick and Margaret H. Carr of the University of Florida. LUCISplus analysis tools are powered by Esri’s geoprocessing framework, ModelBuilder, in particular.